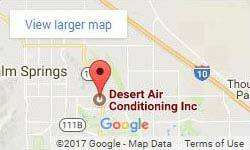 Desert Air Conditioning, Inc. is proud to offer our customers the most innovative and energy efficient air conditioning and heating products from Carrier. When Willis Carrier invented the first system for “manufactured weather” in 1902, he sparked an industry that revolutionized the way in which we live, work and play. From that defining moment – and through to the present day – Carrier has been a company built on a legacy of innovation. For more than a century, their research, expertise and forethought have resulted in market-leading innovations and “firsts” that have shaped and defined the heating, air conditioning and refrigeration industry. Throughout their history of product excellence and committed customer service, they have evolved into a global company serving millions of people and business in 172 countries on six continents around the world. From furnaces to central air conditioners, heart pumps to air filters, window units to split systems, Carrier is dedicated to improving your quality of life by creating comfortable, healthy, environments in which we live. Millions of people the world over trust Carrier’s leadership and expertise in delivering premium solutions for their home heating and cooling needs. Across the globe, they ship one residential heating/cooling system every three seconds and a Carrier unit is installed every six seconds. 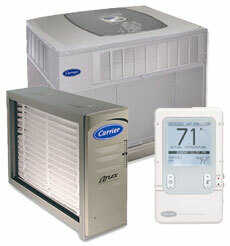 No matter your home comfort needs, you can count on Carrier and Desert Air Conditioning to keep you comfortable. As a Carrier dealer, Desert Air Conditioning, Inc. offers a complete selection of high-efficiency, innovative systems that not only save you hundreds of dollars every year on your utility bills, but add quality to your life. If you have any questions or would like to schedule an in-home consultation, feel free to contact us anytime!